A friend just showed me this webinar tomorrow. People interested in RPA might be interested in signing up. Here's a recording to a webinar on RPA. While much wasn't relevant for me, there were some interesting datapoints on the first few slides the discussed. They also followed-up with an answer to my question. Q. How do we educate business people (CMO, Managers, etc) on what is/is not a good candidate for RPA? How complex is the process? How many transactions run through the process in question? How much of the process you have the ability to automate (are there multiple process partners end-to-end)? How much effort is currently being invested by associates in the process in question? Are there ancillary benefits such as enhanced compliance/risk mitigation or improved customer or associate experience? Review of UiPath, VBA, Python/Selenium & AutoHotkey). I'm curious if they'd hidden IE how much faster it would have run. yeah i said kind of the same thing in "What's on your mind?" I agree however I'm wondering if the same can be argued for the code that was used for the other 3 options. This, to me, would be a good type of "hackathon". Get people from other communities to solve the same goal- then compare / contrast between them. Kind of like Rosetta Code but having people evaluate / rate the differences. Most probably very true The biggest struggle i had with AHK (and with VBA too) was to check if webpage element is ready and visible on a webpage. That's why much slower than it should be. With Python - easier to find reliable solution for the problem. Regarding file picker for csv files - Selenium driver enables script to send keys directly to upload form on a webpage and then handles file picker "on its own" - that's the reason of being faster than others. btw. UiPath does something similar but it is much, much slower. @Joe - Like the idea! That could be very interesting. I received this email today from UIPath. Today, UiPath Academy makes a giant step forward on its path towards complete RPA democratization by expanding the UiPath Academy’s training formula with five free, self-paced courses designed to prepare users for all the key roles of a 360° RPA program. 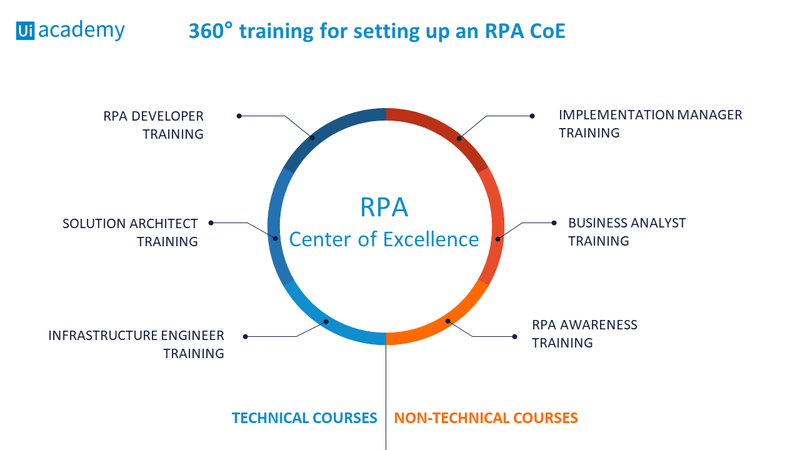 With this major upgrade, the UiPath Academy becomes the first and only place where technical and non-technical people can build all the expertise they need to set up an RPA Center of Excellence (COE). What started a year ago out of love for automation has now matured into a growing community of experts where knowledge is shared freely. And, in all honesty, so it should be – it’s amazing to give back and be the first to make RPA education and training freely available to the world. But we’re only just beginning. We hope you’re as excited as we are about turning curiosity into knowledge, because things will keep getting interesting here at the UiPath Academy. How has the demand for RPA developed since the quoted message back in Aug 2017 (tank / others)? I also wonder what chances one has to land a remote job in the field of RPA. There's ever growing number of business systems and software fully implemented in web environment, so perhaps lack of physical access to customer is not that often a deal-breaker anymone, at least in terms of actual hands-on automation development. Most RPA is going to be at least partially on site. I do a fair amount of work remote as a consultant but only on long projects. Some companies require you to use only their assets. It feels odd to sometimes travel with 2 laptops but sometimes that's the job.